Recently I was asked to recommend a tree that would perform well in a yard with gravelly, cobbly, fast-draining glacial soils. 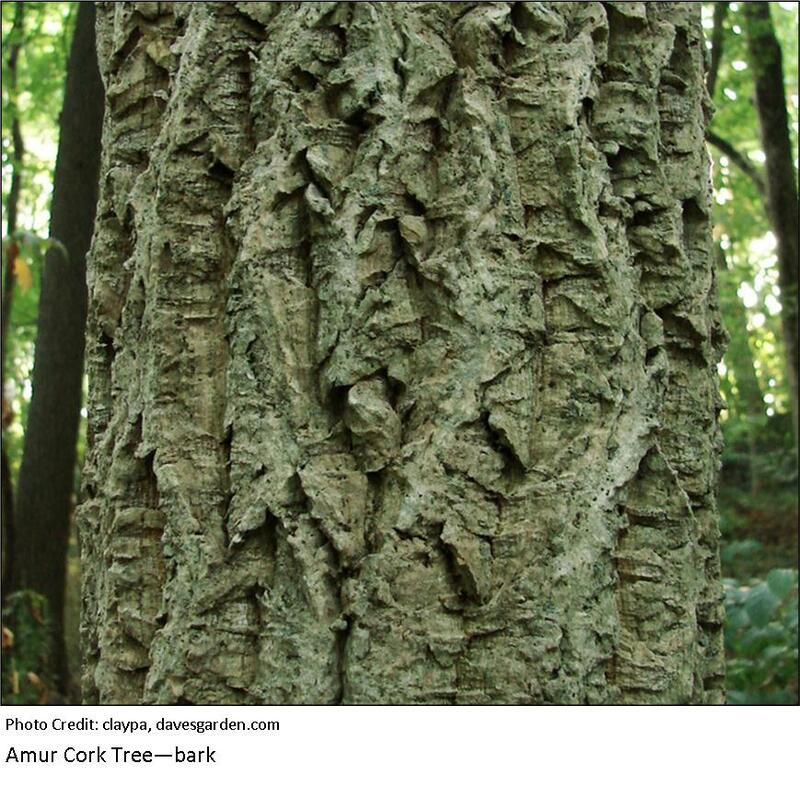 A bit of research turned up an intriguing tree that I am unfamiliar with: the Amur cork tree. Amur cork tree (Phellodendron amurense) is a broad-headed deciduous tree growing 30 to 45 feet tall, with an equal spread. 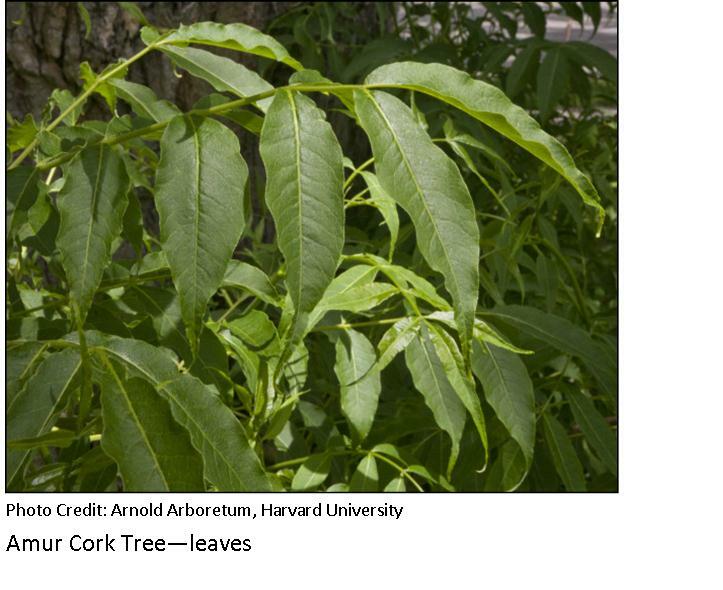 The leaves are opposite, pinnately compound, 10 to 15 inches long, and dark green in summer. The overall effect is deep, lustrous green in summer; fall color is bronzy yellow. The gray-brown bark of mature trees is decorative, with ridges and furrows in a cork-like pattern. The bark is harvested for cork in Russia; when the bark is stripped, the layer below is a strange yellow-green color. The tree is dioecious; small black fruits are borne on female trees. Fruits ripen in October and have a strong citrus smell when crushed. Most sources recommend the tree for lawns or parks, rather than as a street tree, due to its shallow root system. Amur cork tree is a low-maintenance tree that is very tolerant of soil conditions, drought and pollution. Even better, it is unusually free of pests and diseases. It is hardy in USDA zones 4 – 7. Several cultivars are available, including cultivars of the closely-related Phellodendron lavallei. 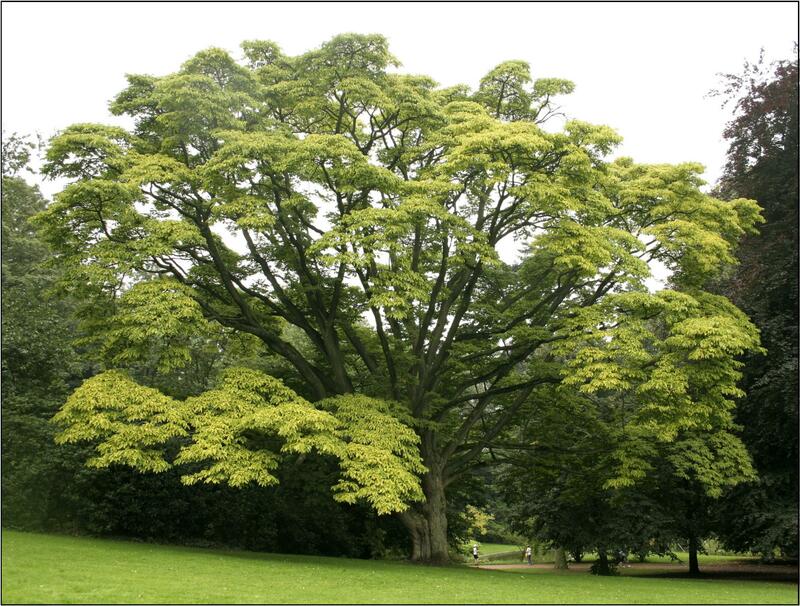 Native to northern China, Manchuria and Japan, this tree was introduced to the US in 1856.